After our first full day of VBS on Tuesday, our team went to eat miso-katsu, a Nagoya specialty. It is a juicy deep-fried pork cutlet with a miso katsu sauce poured over it. It was a great end to a busy day. 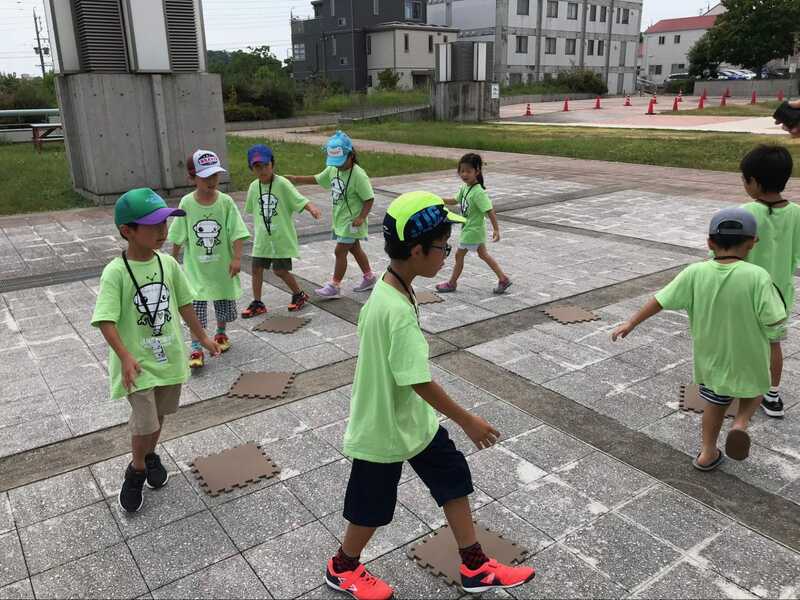 However, on the walk back from dinner, Ken Shida started to experience severe abdominal pain. We immediately called our friends Brett Rayl and Damon Cha. Brett called 1-1-9 (emergency in Japan) and Ken was transported to a nearby hospital. Upon examination, the doctors found a kidney stone had developed. The doctors told him to rest and drink plenty of liquids. Obviously, he would not be able to participate in VBS. So we had to do some quick reshuffling of team responsibilities. Thankfully, Pastor Gavin stepped in to teach the lesson of the day. 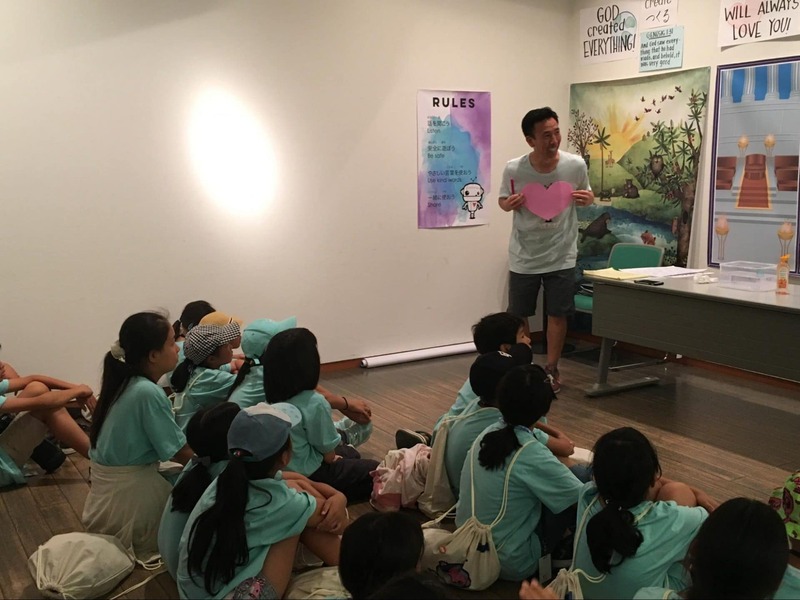 He got to share the Gospel story to the kids! 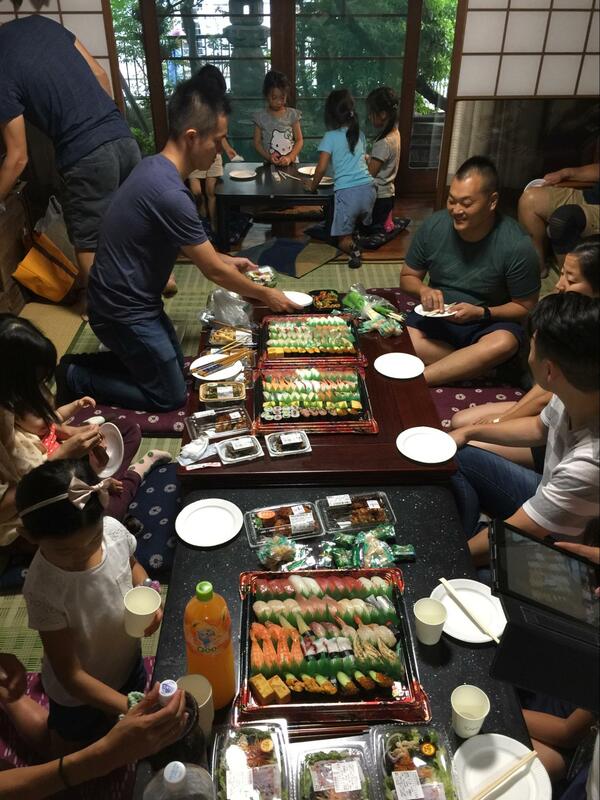 After the second day of VBS, Pastor Gavin invited the team for dinner. It was a feast! Hide and Yasuyo Kawai, Damon Cha, and Pastor Gavin’s parents were there too. It was so nice to relax and enjoy a nice meal together. Please pray for Ken and his health. Pray that God would let the kidney stone pass quickly and with ease! This is our third day of our VBS week. The kids are really getting into it! The kids are learning the songs and singing really loud! When I led the songs, I couldn’t even hear the music over their voices! The teaching and crafts have been engaging. The kids love the snacks, especially the cheese and crackers and gummi bears. The kids don’t mind playing outside during rec time, even though it’s 100 degrees! We are a bit tired, but we love to see the kids having fun and hearing the Gospel message. Also, we all have deepened our friendships with many of the moms here. They all speak some English. A few of them speak English very well. Ken is still feeling under the weather and has been sleeping all day. Please continue to pray for him. It’s been another busy day at VBS. I am continually amazed to see God work on the other side of the world. The kids are excited about VBS. The volunteer moms are so nice to our team. Everyday they have been bringing us food to eat after VBS. We are exhausted, but we have no time to rest. 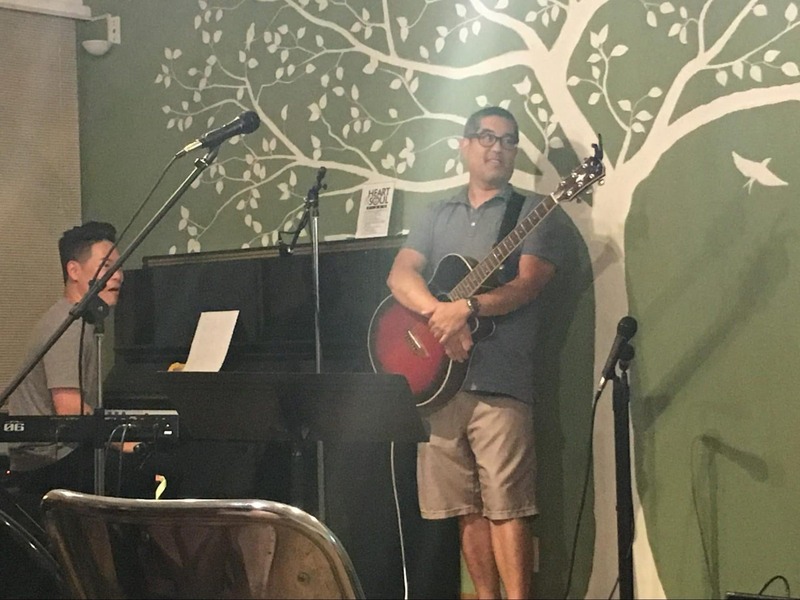 Tonight our team attended an open mic event at Christ Bible Institute (CBI) called Heart and Soul. Daichi and I decided to perform two songs. Ken felt a lot better tonight and he came along with us to Heart and Soul. Praise God! Our prayers are answered! Ken felt a lot better this morning and had a big breakfast. He jumped into the rec rotation like nothing happened! Just in time for the last day of VBS. It was both fun and sad singing the last set of songs today. As I sang, I prayed for the kids. I prayed that the words that we spoke and sang would take root in their lives. It might not have happened in the last four days. It might take a few weeks or months or years. But our team’s prayer is that God touches their hearts and those that don’t believe in Jesus would respond and put their faith in him. Tomorrow our team splits. Daichi and Ken will fly back to L.A., while the rest of the team will fly to Hokkaido with the Kawais. 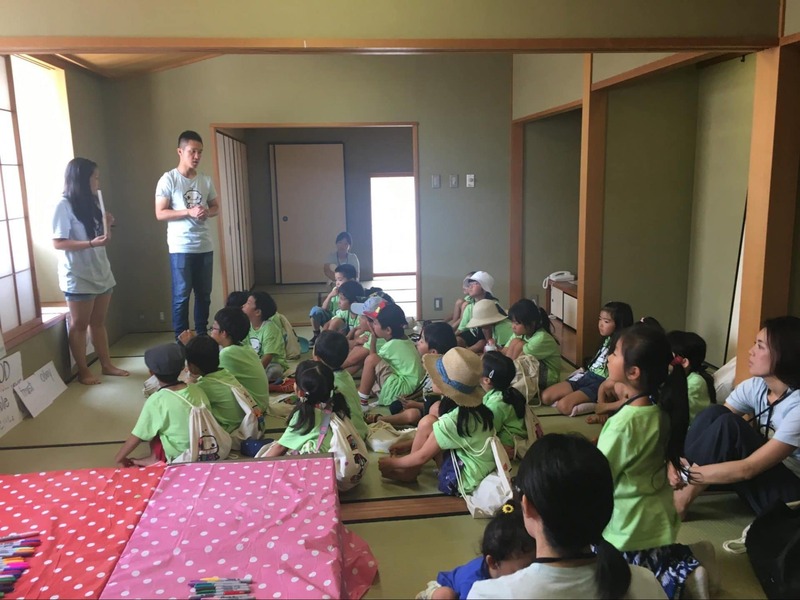 We will work with Niseko Christian Church and do yet another week of VBS! Please pray for a safe flight for Daichi and Ken. 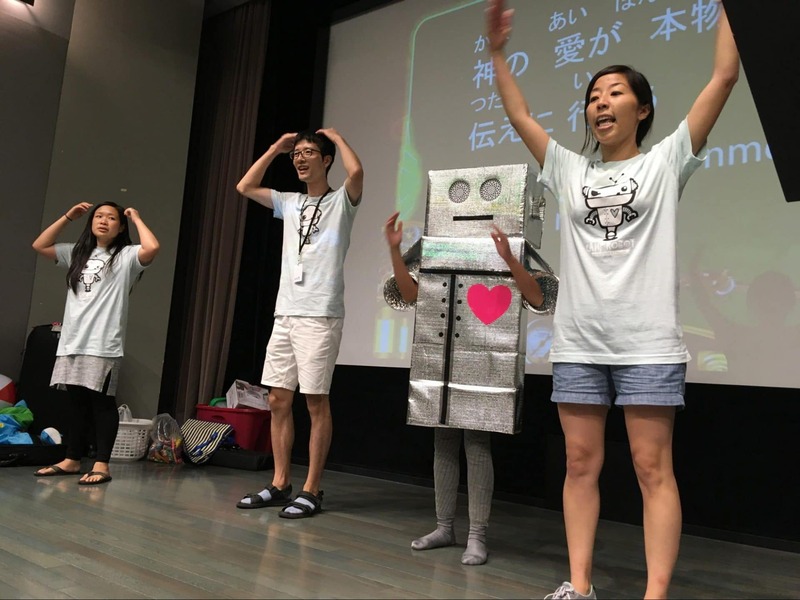 Please pray that the Niseko team gets energized again for another week of VBS. 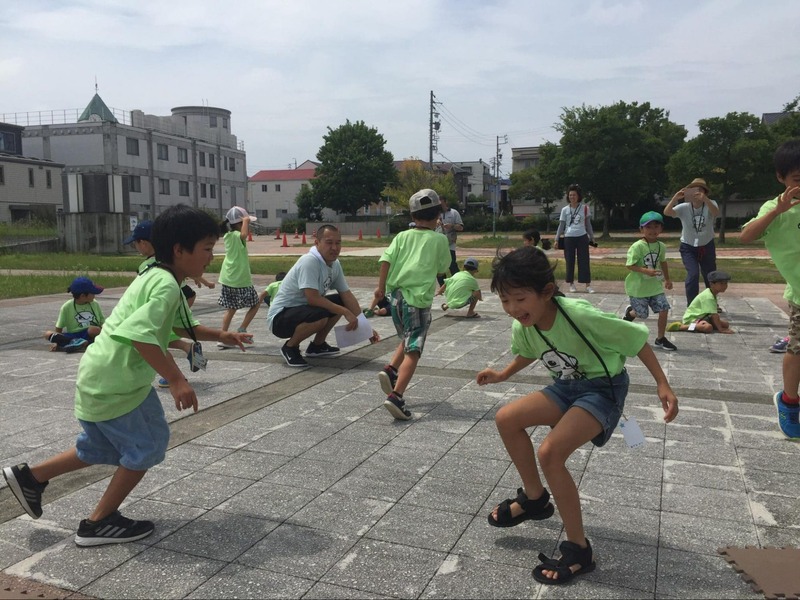 Japan Missions: Nagoya VBS Begins!